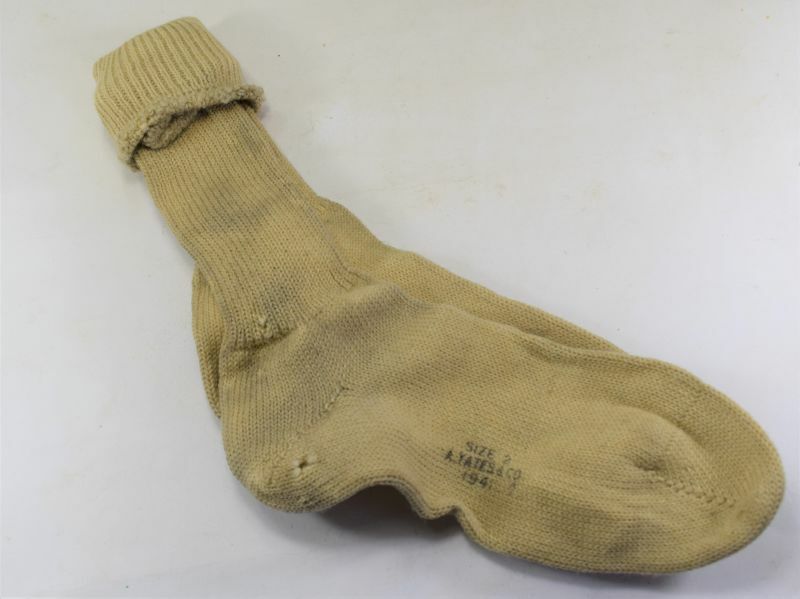 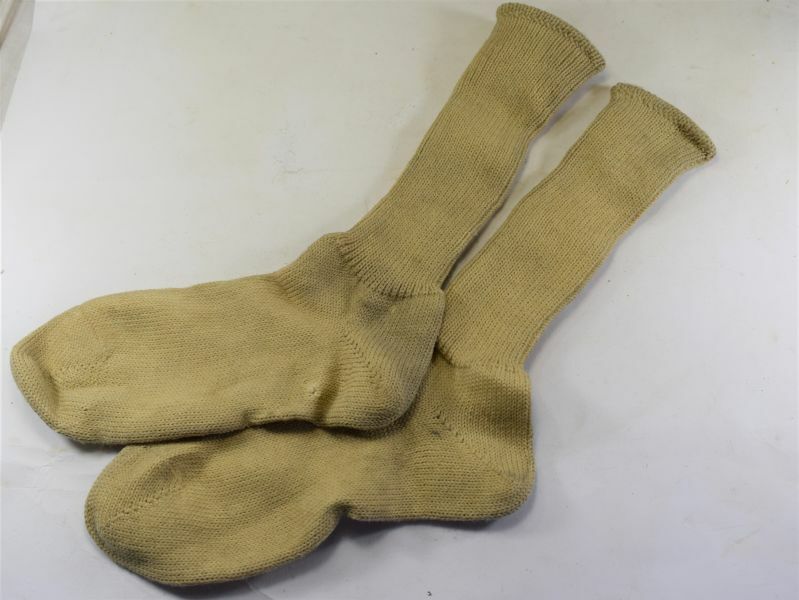 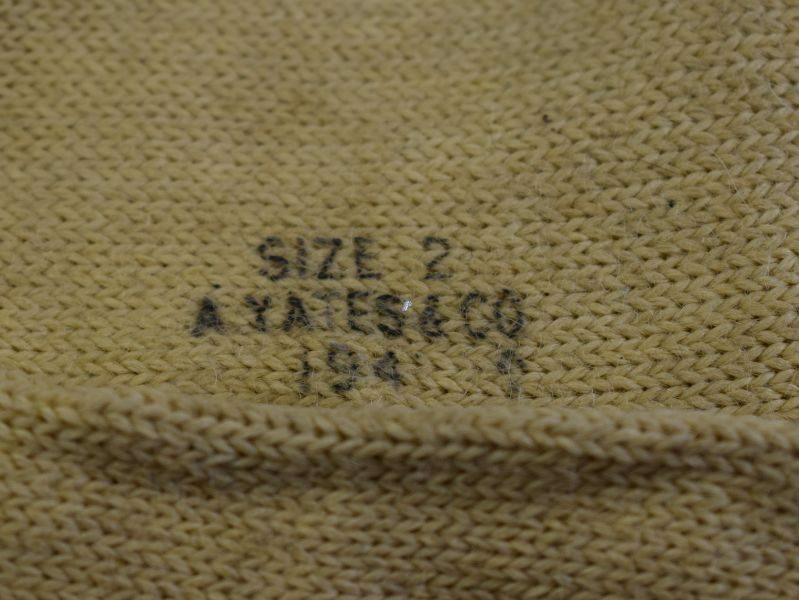 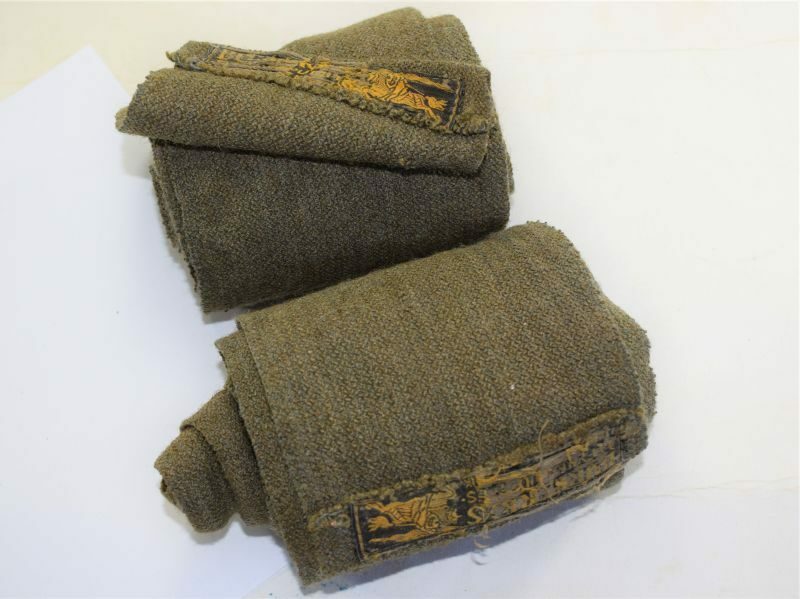 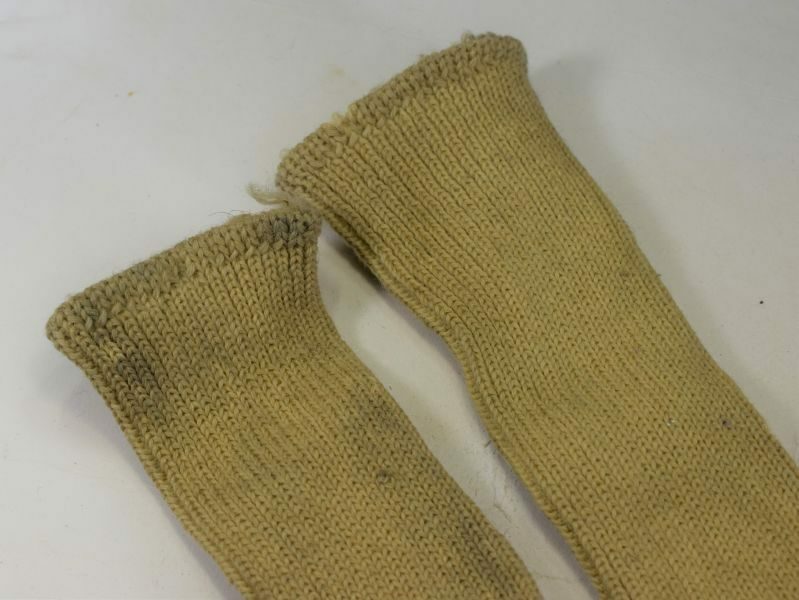 A very nice pair of original wartime socks, these are heavy duty thick wool the same type as the sea boot socks worn by the Royal Navy and Royal Air Force but not as long as the usual type? 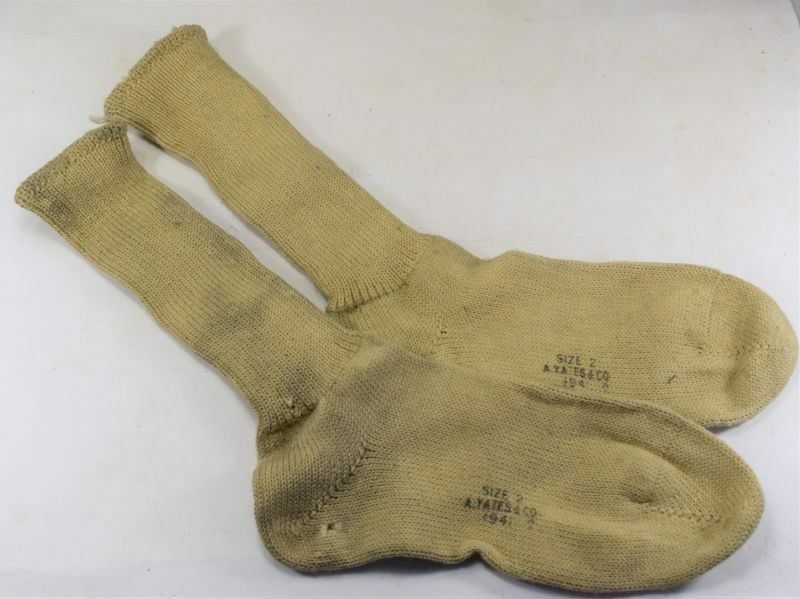 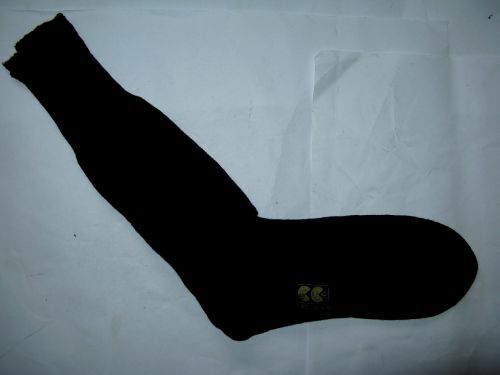 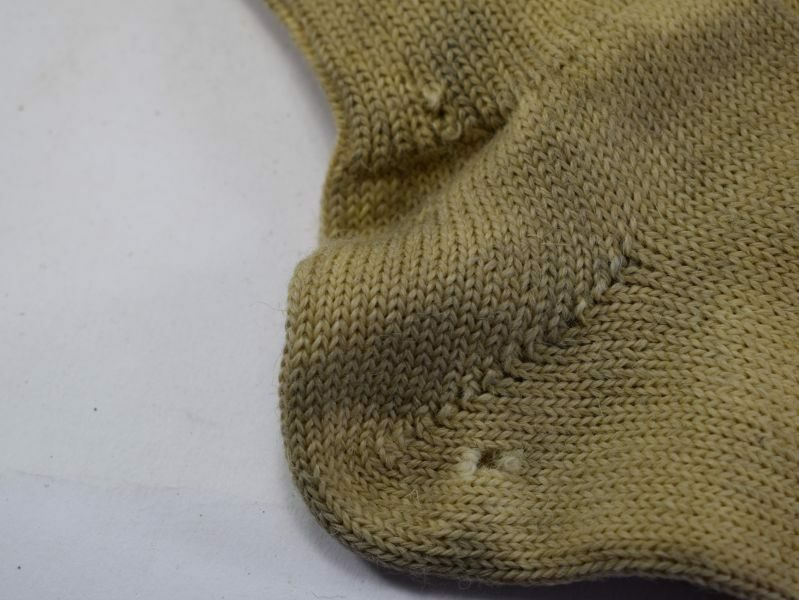 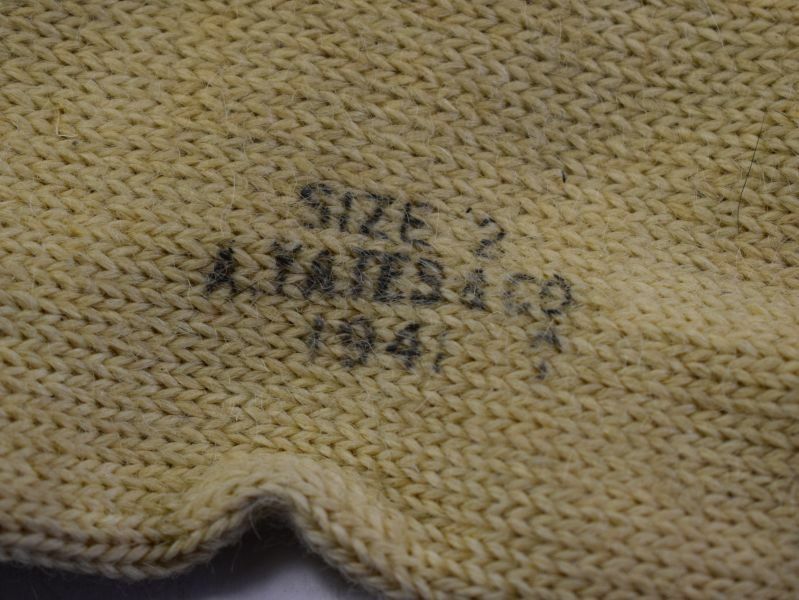 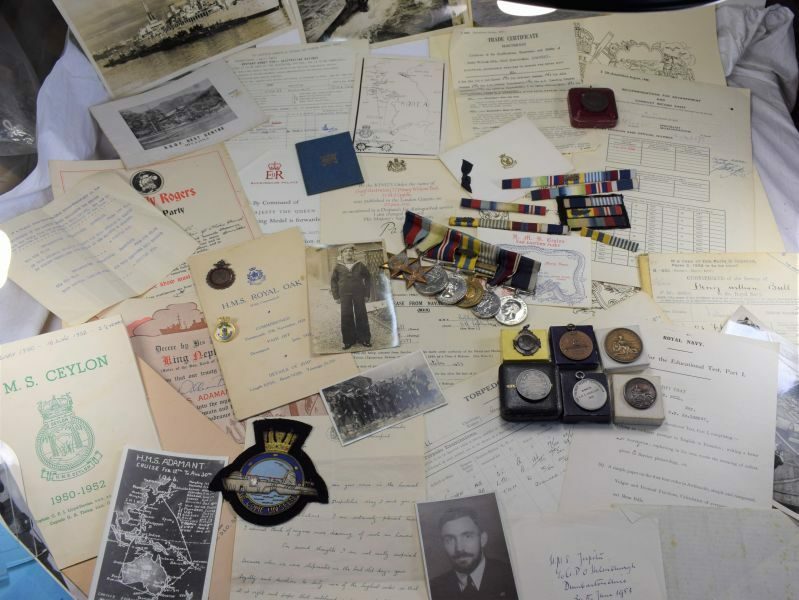 The socks are in good order but do show several minor holes in places all of which is show in the photos, the rest is in great order but does show minor dirt and marks from storage. 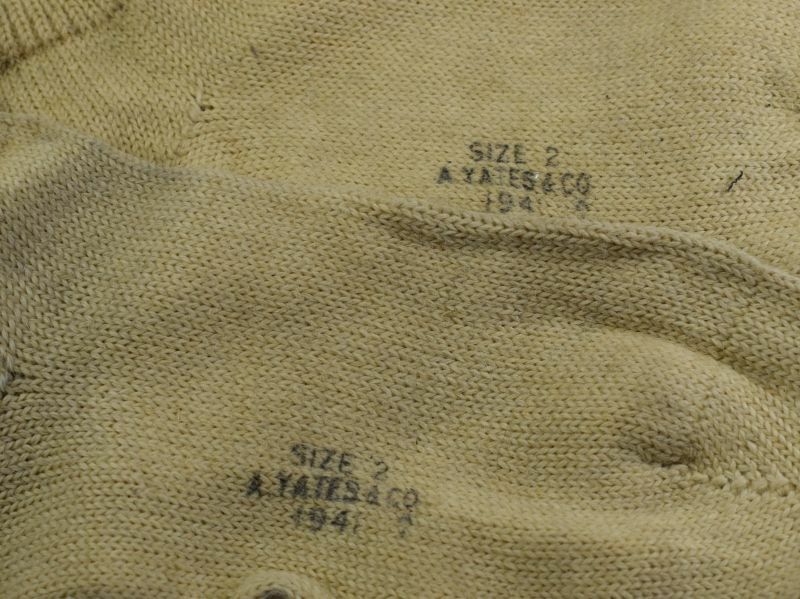 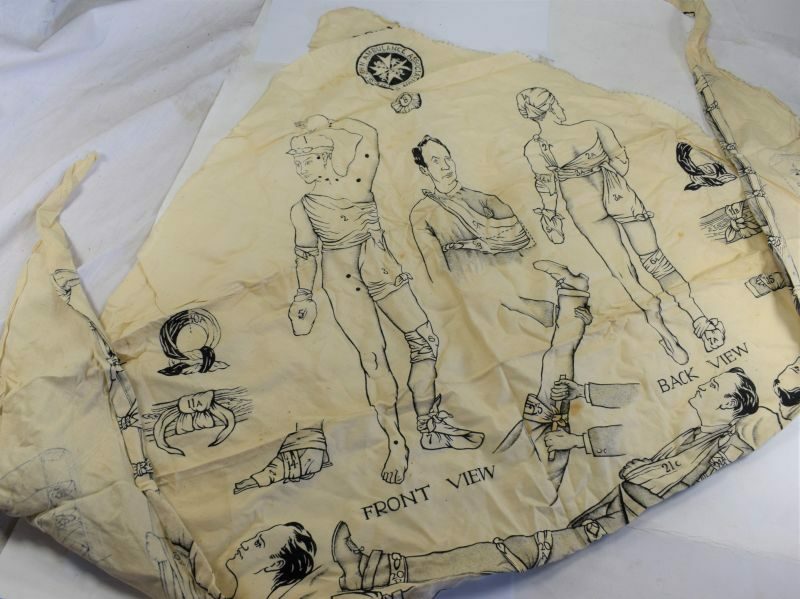 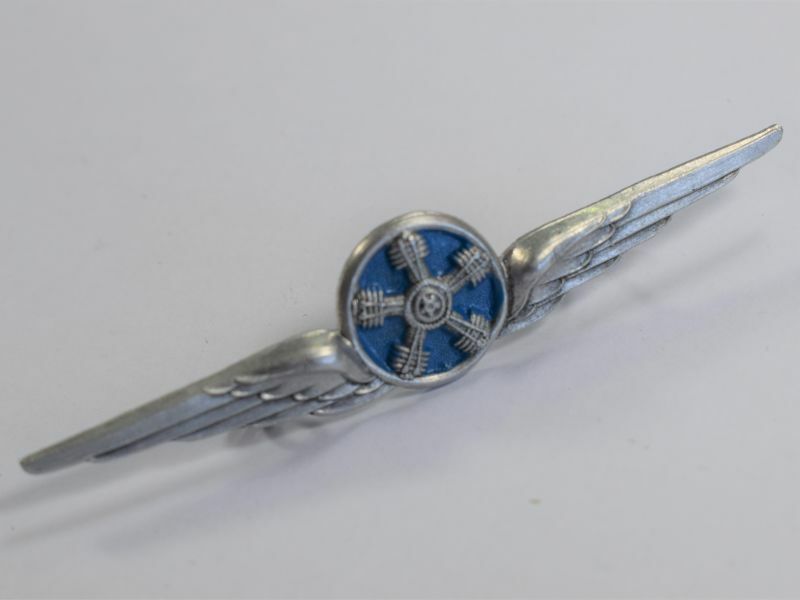 They are a matching pair of size 2 with matching makers and 1941 dated. They measure approx. 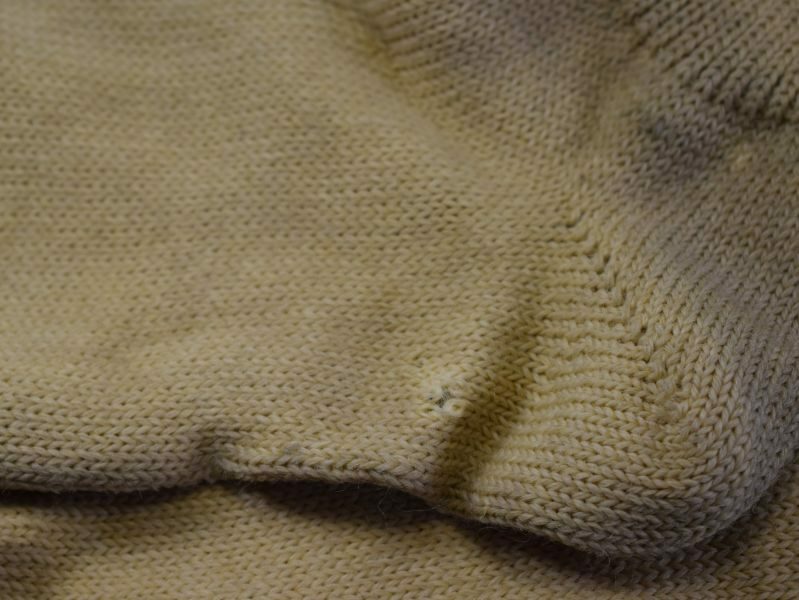 20 inches from tips of toes diagonally across to the top edge.